Presenting a memorable epicurean journey, The St. Regis Shenzhen highlights master chefs dedicated to the art of culinary excellence. 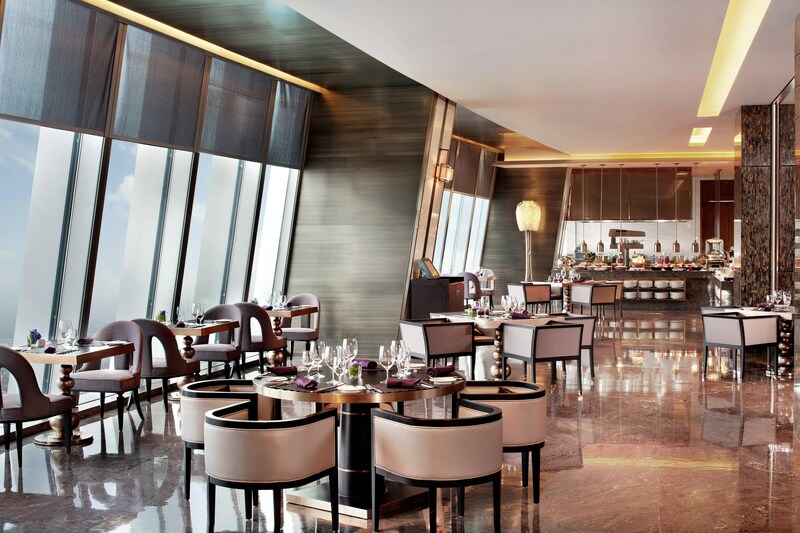 International cuisine debuts at our all-day dining restaurant, Social, while timeless Chinese creations lead at Tian Gong and authentic Italian delights take center stage at Elba. 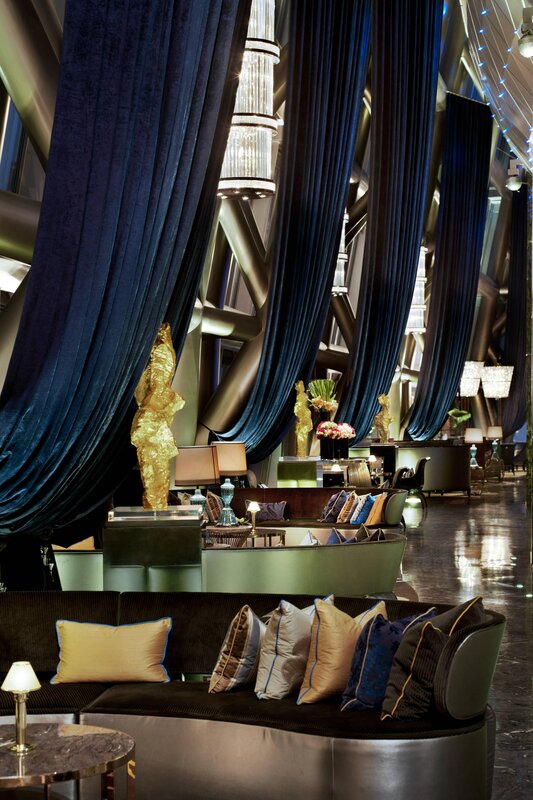 A nod to elegant English parlor culture—with gracious service, a selection of fine teas, and sophisticated surroundings—captivates in The Drawing Room Lounge and St. Regis Bar, while an magnificent view of Shenzhen’s skyline dominates the Decanter wine bar. 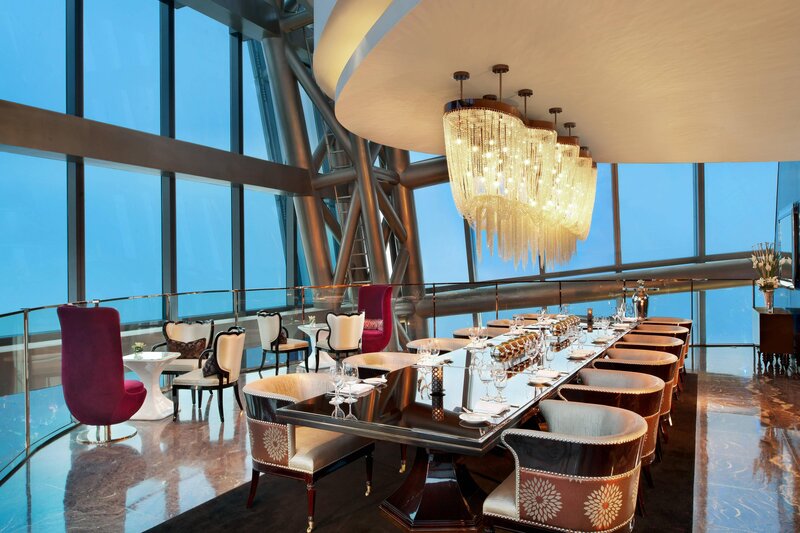 On the 99th and 100th floors of the hotel, the Library features an exquisite wine tower containing a worldly collection of rare vintages, as Malt—also located on the 100th level—invites guests to indulge their passion for single malt whiskies accompanied by fine cigars. Discover the Yan Mary: the bounty of the South China Sea is celebrated with a fresh oyster and sea salt at The St. Regis Shenzhen. Inspired by the epicurean traditions of Italy, Elba enchants food connoisseurs and wine lovers alike with its innovative take on flavorful, fresh Mediterranean cuisine and its worldly selection of wines served in a captivating modern environment. An inviting modern ambiance defined by clean lines and a warm taupe palette—extending from the fawn colored marble floors to the beige semi circle and square-shaped chairs. 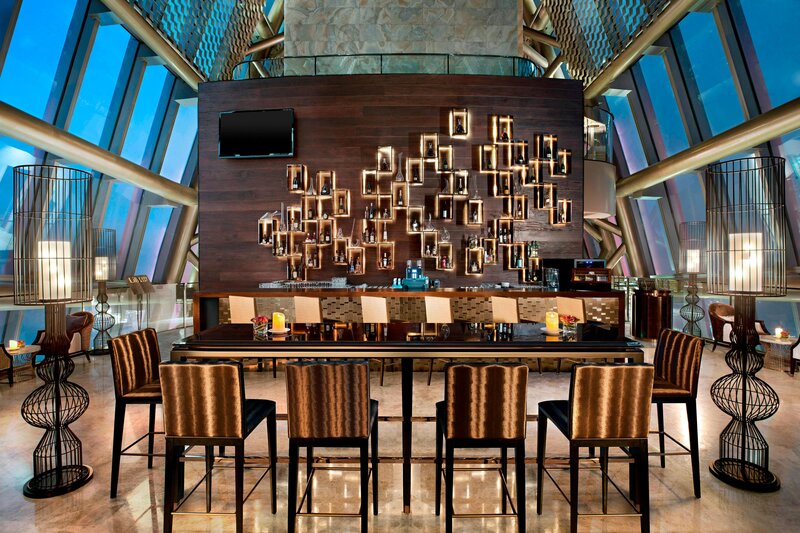 Nestled on the hotel’s 96th floor, The Drawing Room and St. Regis Bar present a contemporary, locally influenced interpretation of a traditional lounge. 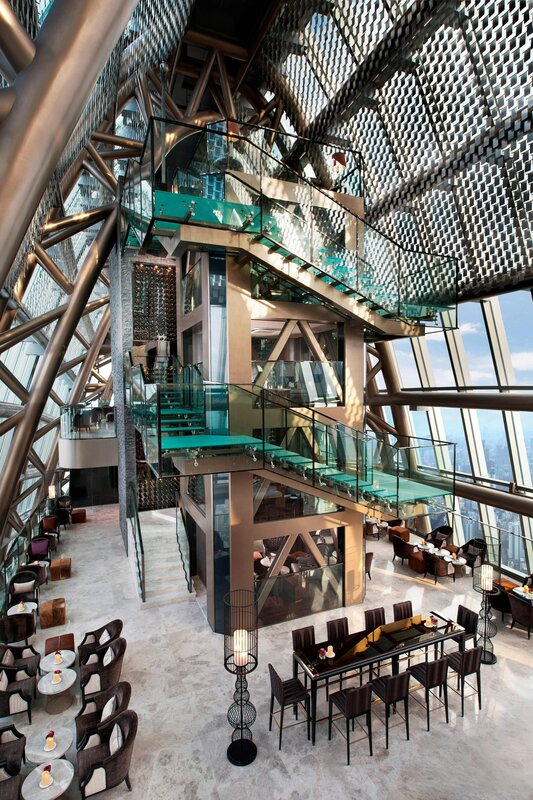 MALT Oyster and Sushi Bar is nestled within Decanter at the top of our 430-meter building. Grandma&apos;s Home provides contemporary Chinese cuisine, using traditional recipes. XiangGang offers authentic Hong Kong-style dishes. Ba la Xiang Guo specializes in traditional Chinese fare.